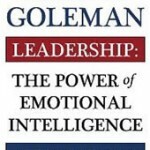 Daniel Goleman has done it again. He has given leaders two new resources to help them be more effective. 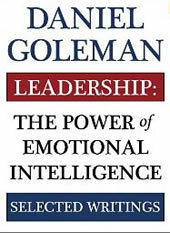 His new book, Leadership: The Power of Emotional Intelligence, at a sleek 177 pages, is a tightly written gem. It summarizes the basics of why self-awareness, self-mastery, empathy and relationship management are core competencies for today’s leaders. The Brain and Emotional Intelligence: New Insights, at just 72 pages, gives an update on how the brain’s ethical radar combined with it’s circuitry for creativity, motivation and social resonance can affect our daily interactions. Both books are filled with insightful stories and cutting edge research that Goleman uses to demonstrates how roughly “50 to 70 percent of how employees perceive their organization’s climate can be traced to the actions of one person: the leader.” The second is filled with neuroscience insights that show how specific brain functions actually affect the decisions we make at work, at home and even at play. Leaders familiar with his previous works – and emerging leaders new to the idea of how important relationship management will be to their success – will find these books valuable resources. They can be read on a quick flight to and from any short business trip. Both are worth your time, I highly recommend them. Read. Learn. Enjoy.